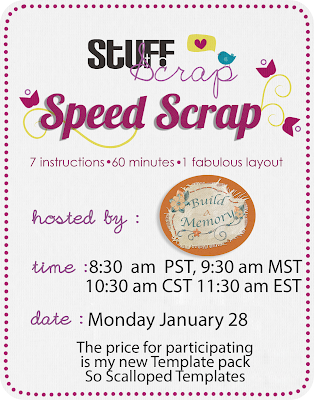 I am hosting a speed scrap tomorrow morning. Come on over to STS and join the fun! The prize for finishing and posting on time is my new Template pack.